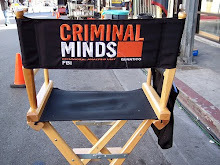 Criminal Minds: Please join the Criminal Minds Fanatic moderators in wishing a very Happy Birthday to Mark Bruner, writer of "Bloodline", who is celebrating his birthday today. Happy Birthday, Mark! Happy Birthday. Kick A episode. Have a great birthday. Happy Birthday Mark! Hope you have a great day and can't wait for your next episodes! Happy b-day Mark! Bloodline was awesome! Have a great one. I hope you have a wonderful birthday. It was such a pleasure to meet you in LA and I hope we can look forward to many more CM episodes from you! I hope the coming year brings you health and happiness. Happy, happy birthday! Wish you a wonderful day and thank you so much for your awesome epi's! Best wishes, hope you have a wonderful day.!! It was a gift to meet you in LA last month. Happy Birthday, Mark! It was great to meet you and we hope you're with us for many years to come! Have a great birthday and thanks for a job well done! Happy Birthday Mark! Thanks for all you do! I hope the year ahead is filled with much happiness and success. We're looking forward to your next episode! Last weekend I finally had the pleasure to watch your epi and now I'm really looking forward to seeing more of your work. Enjoy your special day! I think in your honor, I will rewatch Bloodline tomorrow night. happy birthday! hope you have a wonderfull day! Happy Birthday Mark, from a fellow Northern Virginian! I enjoyed meeting you last month and am looking forward to your next episode. You set the bar high, because your first episode was so good!!! It was nice meeting you in L.A! I wish you all that you want and more! 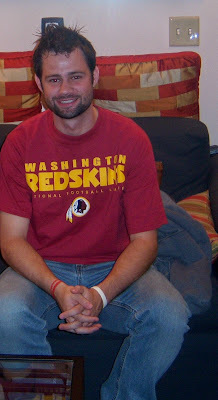 Happy Birthday from one skins fan to another. I hope your birthday is lots of fun. Chocolate cake and balloons. Happy Birthday. I really liked your episode and I hope that you get to write more of them next season. Warmest birthday wishes, Mark! I also echo everyone that said it was great meeting you last month & that I can't wait to see more of your work! Happy Birthday! Bloodline was an awesome episode! Can't wait for some more in the future...Have a great day. Happy Birthday Mark and hope it's loads of fun. Have a Happy Birthday Mark! Happy birthday Mark. I hope you have a great one. All the best for the coming year :o)...And keep on writing amazing stuff as I loved Bloodlines :o). Have a great great birthday, Mark, and thanks a zillion times for your contribution to our beloved show! I hope you'll have a wonderful day with lots of surprises from your loved ones! I loved your episode and can't wait for more from you. Have a great day and all the best wishes from Holland! Happy Birthday Mark. Sending you cyber cake. Enjoy. Happy birthday, Mark! Go 'Skins! Happy Birthday, Mark!! !Wishing you a day full of love and wonders!!! Happy Birthday to a great writer. I really hope that you have a great time on your birthday. Mark! Hope you had a great day! hey everyone, thanks so much for the birthday wishes. much appreciated. and thanks for all your kind words about my episode. you all made my birthday extra special.